The most recent addition to the Key Issues on Diverse College Students series bridges theory to practice in order to help student affairs and higher education professionals understand the needs and experiences of religious minorities on college campuses. 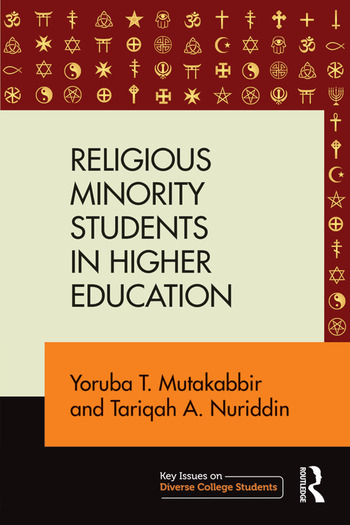 Religious Minority Students in Higher Education explores existing literature and research on religious minorities on American college campuses, discusses the challenges and needs of religious minorities on campus, and provides best practices and recommendations. Providing a foundational, nuanced approach to religious minorities in the American college context, this important resource will help educators at colleges and universities promote religious pluralism and tolerance to support student learning outcomes and campus inclusion among students of diverse religious backgrounds. Yoruba T. Mutakabbir is Assistant Professor of Higher Education at Texas Southern University, USA. Tariqah A. Nuriddin is Assistant Professor of Sociology at Howard University, USA.